Learn more about AFB Construction Management of Trumbull Inc.
Alfonso F. Barbarotta is a successful product of the public school system. Mr. Barbarotta currently manages facilities for Stamford BOE, Stamford Parks Department, Stamford Board of Education (20), Trumbull Public School (16), West Haven BOE (13), and New Haven BOE (57 schools). 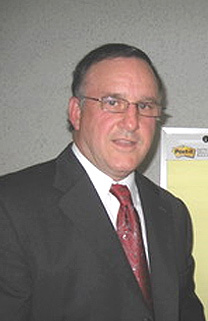 Mr. Barbarotta's value to municipal clints comes from his thorough knowledge of state policies and procedures as he has forged a cooperative relationship with the State's School Facilities Unit, Local and State Employee Unions, Local Boards of Education, Town Councils, Board of Finances, Building Departments, Boards of Health and many State and Municipal Boards. Team Leader Management structure for the Trumbull School District. Construction Manager for the $80 million Renovation & Code Upgrade project. Construction Manager for the $35 million Code Compliance, Technology Wiring, Asbestos Abatement & Additions/Alteration project. Owner's Representative for $64 million dollar "Like New" Renovation of Trumbull High School. Construction Manager for the $8.5 million new facility project. (72 buildings) & Board of Education (20 schools).